Children under 12 years old get check-ups for free! and encourages them to come in from as young as possible. and ensure they grow-up with healthy gums and teeth. The philosophy of the team is founded on preventive care and ensuring that patients enjoy excellent oral health for life. After a detailed examination of the teeth and mouth of a new patient, an appropriate treatment plan is formulated. Services offered include hygienist services, whitening, general dental care, cosmetic dentistry and implant dentistry. 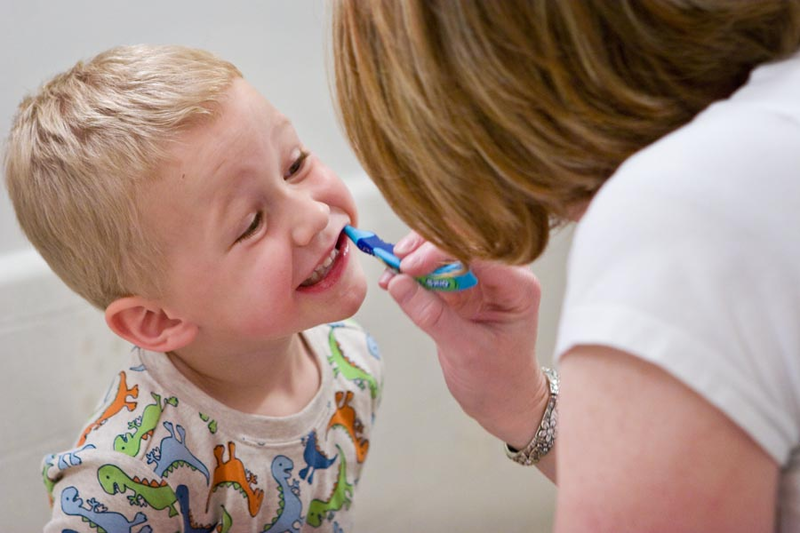 5 TOP TIPS to help you keep your childrens teeth strong and healthy. The earlier the better! Create good habits by getting your child used to going to the dentist often, pretty much as soon as your baby’s teeth come through. Make an appointment with a dentist to make sure everything is developing, this will ensure your little one gets used to sitting in the chair and opening their mouths. Two minutes twice a day: Two minutes can seem like a long time, however, it is so important that the length of time, rather than the speed or pressure is completed– brush your little ones teeth last thing at night and half an hour after dinner with a fluoride toothpaste. You may want to invest in a tooth timer (egg timer will do!) to ensure your children will brush for the full two minutes unsupervised. This usually happens around the age of 5 – 7 years old. Brush sense: There are a range of toothbrushes on the market, all to encourage little ones to enjoy cleaning. Choose one that is small-to-medium-sized with soft-to-medium bristles. It is really important to keep it clean, and we recommend changing your brush at least every three months, or when it becomes worn. Also, after illness, change immediately. Choose your paste wisely: Fussy little ones may not like a strong mint flavour, or struggle with sweet alternatives. Do make sure you choose a toothpaste with the right amount of fluoride in it; children up to three years old should use a toothpaste with a fluoride level of 1000ppm. After three years old, they should use toothpaste that contains around 1350ppm-1500ppm. TOP TIP DIET: You are what you ear right…tooth delay is caused by acid and sugar ‘eating’ away your teeth and causing holes and cavities. Ensure your children are brushing after eating, choosing healthy no sugery snacks and where possible opt for breadsticks, vegetables and even cheese, which is a great choice as their helps remove harmful acid. Children under 12 years old get check-ups for free! We look forward to welcoming you. Book an appointment here. What Does A Routine Dental Check-Up Involve? Dental Implants & Missing Teeth. When & How Often Should I See The Dentist? Does Dental Fear Really Exist?